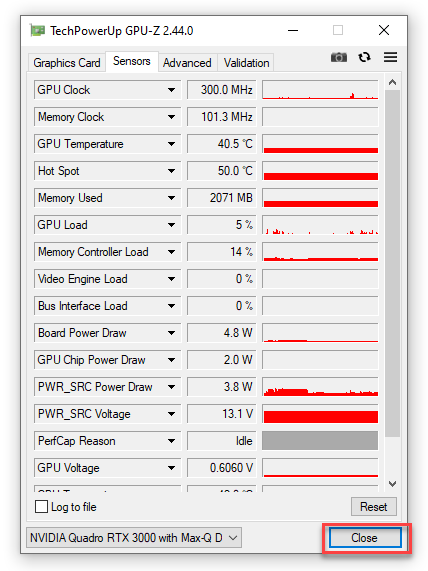 2) Once downloaded, proceed to install the desktop application GPU-Z using the installer. 4) You should see a window similar to the screenshot below. 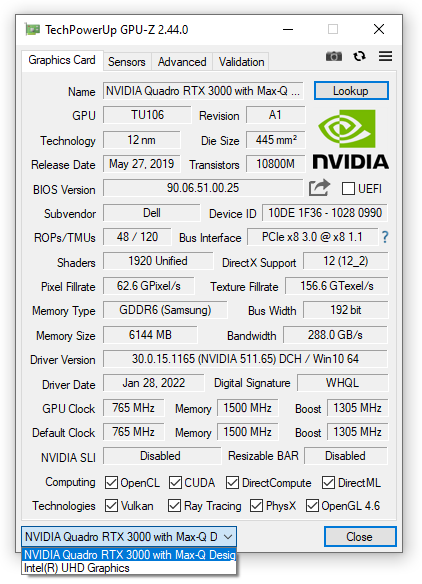 Make sure you have selected your NVIDIA GPU from the drop down selection box if your PC has more than one GPU (for example a hybrid graphics notebook). 5) Click on the Sensors tab. You should see a check box labeled "Log to file". Launch the game or applicatoin which is showing performance issues. Reproduce the issue -> press the Alt key and the Tab key on your keyboard at the same time to switch back to your desktop without closing the application/game. Next click on the box "Log to file" to start the logging process. 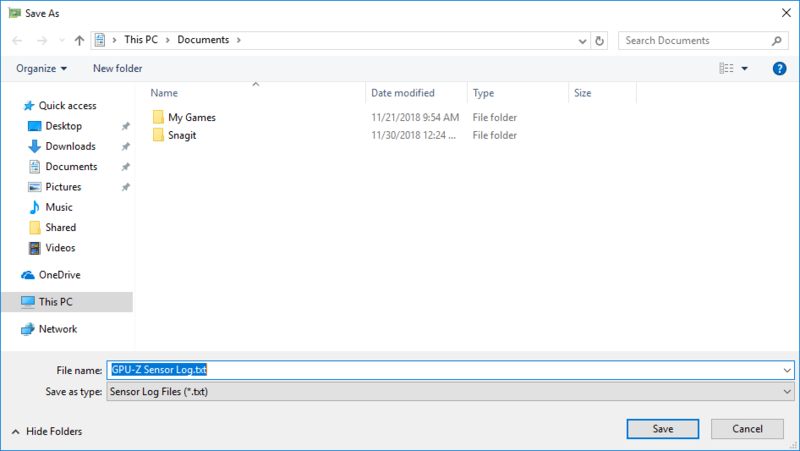 6) A file explorer window will appear asking you to choose a location to save the log file. You may choose any location on your PC (the Windows Desktop is recommended). 7) GPU-Z will start saving a log file to your hard drive. Go back into your game or application and capture about a minutes worth of gameplay. Make sure you are still seeing the performance issue while recording the log file. 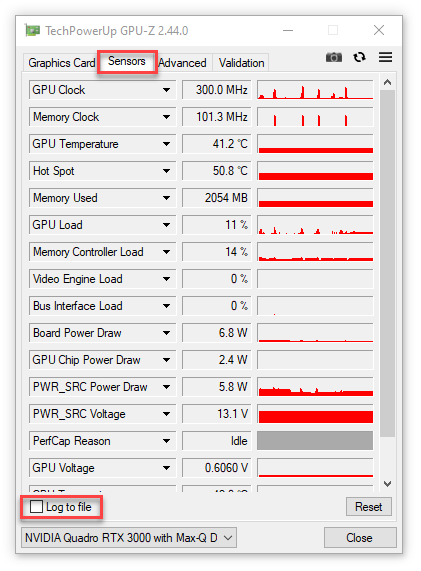 Once you are satisifed you have recorded enough information, press Alt+Tab to switch back to your Windows desktop and click on the Close button in GPU-Z to stop recording as shown in the screenshot below. 8) Go to the location on your hard drive that you chose to save the log file. You should see a file similar to the screenshot below. Attach the file to your support incident if you are working with an NVIDIA Customer Care agent. If you are providing driver feedback then send the log file to driverfeedback@nvidia.com.